Rife with intensely personal lyrics, the music often remains emotionally striking. Benjamin High did not die in vain. 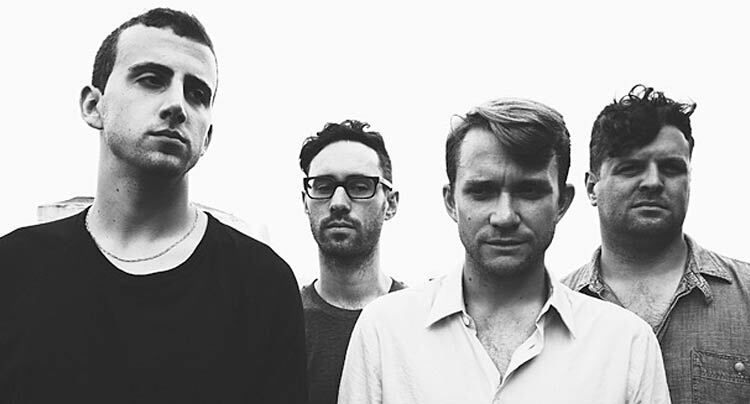 His tragic 2007 passing at just 19 years old, far too young an age for anyone to leave us, began to inform Cymbals Eat Guitars’ impressive catalog even before the band caught listeners’ attention with their 2009 debut Why There Are Mountains. High, a member of the long-defunct Green Arrows and briefly a contributor to Why There Are Mountains, met CEG’s frontman Joseph D’Agostino at a basement show in West Caldwell, New Jersey, and the two were instantly best friends; D’Agostino recently described their spark to Wondering Sound as “the equivalent of love at first sight for friends.” Understandably, the sudden, heart shattering loss of such a close companion still afflicts D’Agostino today, but only during the writing of his band’s third effort, appropriately titled LOSE, did he truly feel comfortable approaching his emotions. LOSE is rife with intensely personal lyrics, both in its more tranquil, traditionally gorgeous moments and during its riotous, searing garage rock anthems. The music often remains emotionally striking, even when D’Agostino’s quavering, needy voice obscures his exact words. LOSE opens with its first single, “Jackson”, an excellent choice for a first track (and single). It firmly establishes the elements the album’s songs will bear: somber pianos, agony-laced guitar strife, unusually stable, affecting vocal work from D’Agostino, specific, storytelling lyrics, and a song structure that’s long, but not needlessly so, form this track’s backbone. “You’re taking two Klonopin/So you can quit flipping/And face our friends” is an incredibly honest group of words to open this song, and thereby the album; delivered in the almost Antlers-like haze of “Jackson”‘s music, it delivers an undeniable blow to the ears. That “Jackson” is not nearly the only moment of emotional clarity, musical beauty, and ambitious length to appear on LOSE ensures its success. “Place Names” and “Laramie”, respectively six and eight minutes each, bear the intensity, both lyrically and musically, of “Jackson”, and both tracks are album highlights. “Laramie” scoops up a bit of what’s made CEG’s previous two albums great — the grey, moody, Modest Mouse-like atmospherics of Lenses Alien in its first half, the berserk yelping and frantic synth-guitar interplay of Why There Are Mountains‘ “…And The Hazy Sea” in its second half — and blends these traits together into an impactful tune. “Place Names”, which bears one of LOSE‘s most memorable choruses, begins as merely a draft of a thought, and ends six minutes later in a spectacle of chilling, Local Natives-esque oohs and aahs. “For the last year you lived/You slept in your parents’ bed”, D’Agostino laments among a sea of swirling, phasing guitars, in just one instance of the riveting forwardness that pervades this track. 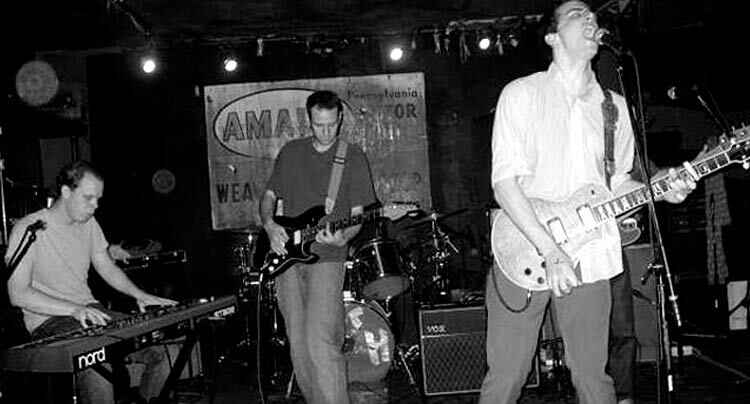 Even the shortest tracks on LOSE cram unsettling, intimate details into their short runtime. “XR” is LOSE‘s shortest track, but it may be the album’s most direct-from-the-diary story. Details such as the well-esteemed New Jersey record store Vintage Vinyl, a low-profile Wrens show, and the cult film Faces of Death feature in its lyrics, which also directly address “Ben [High]’s Myspace grave.” However, these specifics can be hard to discern without a lyrics sheet, given the filters applied to D’Agostino’s yelping, mad vocals; further, D’Agostino wrote “XR” specifically to be played in sweaty college basements, so its high-tempo guitar work and plastered harmonica blasts introduce a whole ton of wild fun at the cost of lyrical audibility. “XR” is really the only track where the lyrical murkiness consistently presents a problem. “Chambers” and “Warning” definitely present small moments when it can be tough to decide what D’Agostino is saying, but their melodic, straightforward instrumentals perform a lot of the work over in the feelings department. In particular, “Warning” is a straight shot of musical adrenaline to the veins, as it would be even if the words to its chorus could be understood without a lyrics sheet. A searing, aggressive piece of shoegaze-indebted garage rock, it stands directly opposite the equally potent “Child Bride”, which barely boasts a guitar at all. Instead, pianos, orchestral strings, and D’Agostino’s heartbreaking vocals form this unforgettable tale about how a friend’s early years of child abuse proved a gateway to current drug abuse. Most of LOSE is drenched in sounds so harrowing that their words, despite their importance, wind up playing second fiddle. Although this statement sounds like a backhanded insult, it’s actually a compliment. This quality turns out to be the album’s saving grace, a trait more easily realized when listening to the album’s last two tracks, which are its least interesting songs. “LifeNet” gives an underwhelming vocal performance from D’Agostino, although the lyric “getting laid in the black sand” isn’t an image that listeners will forget anytime soon. In its place directly following “Chambers” on the album, it just sounds like a less thoroughly worked-over version of its predecessor, since they really contain the same musical approaches. “2 Hip Soul” follows “LifeNet”, an excellent sequencing choice since it’s the slowest, moodiest tune on LOSE. But this is still a mode that CEG have yet to perfect: D’Agostino’s vocals, although often delicate, are just a bit too weak here, and the song suffers for it. Its most exciting part, its final two minutes, has no words. An instrumental riot of noise pop guitar work and a barrage of, er, cymbals, frame this segment of the song, ensuring that LOSE ends with a bang. An album this imposing deserves to end on a grand, mountainous note, as it does. LOSE may not be a perfect album, but its tiny cluster of flaws doesn’t reduce the impact of its songs, even when their size shrouds their sentiments. No, these are truly skyscrapers of songs, tunes that reach all the way up to heaven. And up there, somewhere in the sky, Benjamin High is smiling — no, beaming — down upon LOSE and Joseph D’Agostino, just as he has been for seven years now. 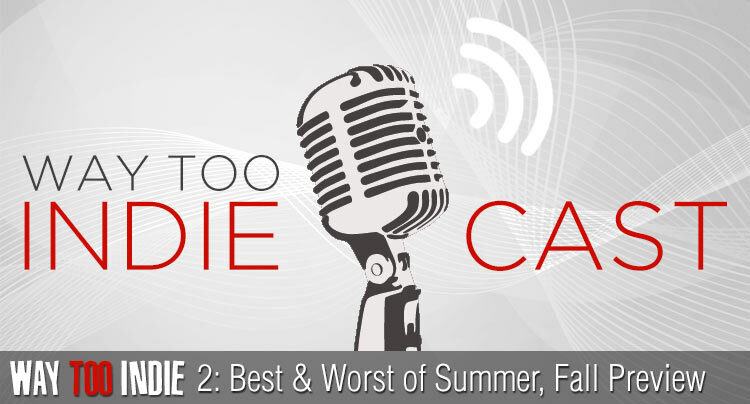 Episode 2 of the Way Too Indiecast was spent looking back at the best and worst movies of summer 2014. Plus, looking ahead at fall films.